Is Geocaching HQ Losing Signal? Unofficial sources* from HQ have leaked that the official retirement of Signal is coming soon. "With 2020 being the 20th year of Geocaching, we feel it is time to let Signal finish on a high note, and we are looking to a new mascot for the game." While many are shocked at this announcement, the fact that a new Signal Tribute GeoArt was just published this morning in the Seattle area seems like confirmation. Signal has become iconic with this game so many are wondering who the new mascot will be, and also why the seemingly sudden decision to retire the beloved mascot. With respect to the timing, in conjunction with the 20th anniversary of geocaching in 2020, unofficial sources have also shared that "since the average lifespan of a frog is a max of 10 years, Signal has had a really full and long work life and is excited to move into retirement." When queried about who the new mascot might be, we were told that everything is being kept tightly under wraps, but in conjunction with Signal's official retirement party on April 1, 2020, the new mascot will be announced. Rumours have also spread that apparent problems with the official city bird of Seattle being the Great Blue Heron which is known to sustain itself on frogs, there was a long-standing optics issue that was planning to be addressed. Inquiries about this story should not be directed to anyone at Geocaching HQ, and can be sent to LANMonkey. *Sources are unofficial because today is April 1st. I'll let you figure out the rest. First off, let me be clear I'm not complaining! That out of the way, I'm in fact sincerely thankful to have had the rare opportunity this week to appear on four different geocaching podcasts in one week. For those interested, here's the quick recap and links to each show. If you'd like a little more insight into the process and contents before you click through to the links, here's the brief synopsis for each podcast appearance. I was contacted by my friends at Podcacher and asked, as a Canadian Geocacher, if I had any thoughts on the new upvoting innovation on geocaching logs. Of course I do! I offered to record some content for them and they graciously accepted and played it in show 651 (can you believe they have recorded over 650 episodes!!!). This episode contains some interesting and diverse opinions and feedback on upvoting from geocachers in Canada and Norway, the two countries where upvoting is currently enabled. Take a listen to Podcacher episode 651, and check out log upvoting. Share YOUR thoughts on Twitter and Facebook, and please tag @LANMonkeyGC so I can hear what you think! In case you hadn't heard, the Gecoaching Podcast is back from the summer hiatus with a new format and (almost) the same hosts. Andy has retired from the show after contributing to it's success for several years, and Scott Berks and Taz427 are now joined by ShortyKnits. The new format is a call in show - each week the hosts pick a different topic and encourage listeners to call in and share their thoughts, live on the air! This week the topic was "Useful Apps for Geocaching" and there were some great ones shared. Check it out; if you didn't hear your favourite, or want to weigh in on that conversation, share your thoughts on Facebook or Twitter, and again, please tag me so I can hear what you have to say. Chris of the Northwest and DarrylW4 contacted me a few weeks ago and asked if I could fill in for Darryl (can anyone really ever fill in for Darryl?!) and talk about Earthcaches. Of course I can! And since GeoGearheads tends to be technology and innovation focused, I thought it would be fun to throw in a news story about China creating artificial moons to orbit the earth, and then dig into the numbers and stats about the 2018 International Earthcache Weekend. This led to Chris and I each sharing some interesting stories about our adventures finding our Earthcaches for the souvenir that weekend. I also answered a listener's question and gave some top tips about my own process/workflow for creating new Earthcaches. We then provided an update on the status of the GSA's Earthcache Academy. Did you get your souvenir? Do you have questions about creating Earthcaches? I'd love to hear about your adventures, or your thoughts about Earthcaches. Again, please share those thoughts on Facebook or Twitter and don't forget to tag me in your post so I can make sure I read it! Last, but surely not least (? ), is the podcast closest to my heart, the one I spend every Thursday night with my close and awesome friends WitzEnd and Chris of the Northwest. 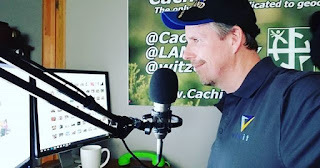 This week on CachingNW we had show Patrons CampClan join us to talk about their recent adventure of going Geocaching in the amazing state of Utah. Having completed the Visit Utah Geotour myself, I had lots to share and discuss with them. The timing couldn't be better as I had just received my official Utah GeoAmbassador jacket that very night and was able to wear it proudly during the podcast! They shared their adventure of finding Potter's Pond on the cusp of winter, and some of the places they explored on their adventures. We then "shifted gears" to chat a bit about bike share services available in several cities, and how those can be used for Geocaching. Have you visited Utah and have thoughts or pictures to share? Have you tried Geocaching using a bike or scooter share service? We're really curious to hear more about your experiences and opinions; share them on Twitter and Facebook, and remember to tag me @LANMonkeyGC so I can read all about it! So in summary, a very busy but fun week in podcasting for me, and I am so thankful to each of the hosts/producers for making time to include me and my thoughts on their podcasts. I hope you enjoy listening to each, and make sure that you let the podcast hosts know what you think about their episodes. And until we chat next, cache safely and cache often! It's time to share our insider info on Geocaching Adventures Season 1 - Episodes 3 & 4 from artful Oslo, Norway. In case you've missed those episodes, you can watch them here! Episode 3 - Norway to Go! Episode 4 - Art Attack! We explored the city of Norway; in episode 3 we explored entirely on foot from our hotel near Munchs Gate and Keysers Gate, right by the virtual cache "Grass Roots Square" featured in episode 3. Most of what you'll see in episode 3 is from walking through City Hall area and down to the waterfront near the new virtual rewards geocache "Oslo City Hall - V&V #27." We followed the shoreline to the South-East and that's where you'll most of the sights we shared in that episode. In episode 4, we used the Oslo Hop On - Hop Off tour bus to explore our way around a larger part of the beautiful city. 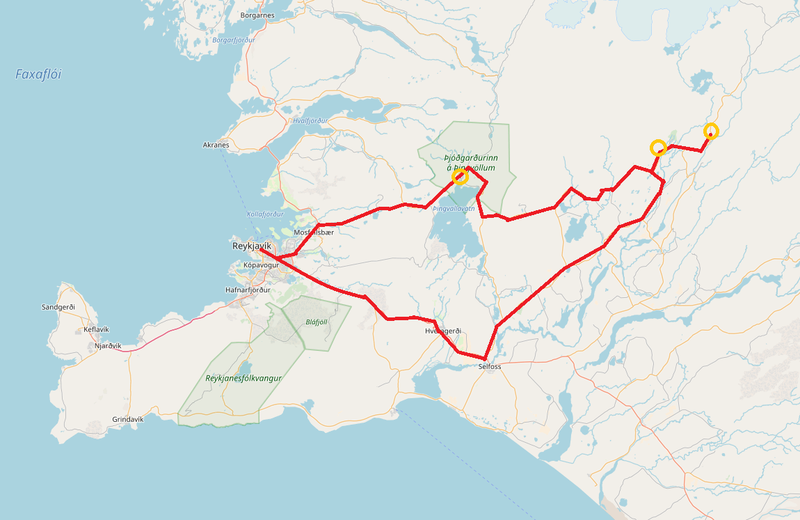 The tour buses run a standard pattern; effectively a loop that is clearly illustrated on their website. Here's a list per episode of key geocaches we found. Good news - there's been several more virtual reward caches placed in Oslo since we visited. OK, good news for YOU planning a trip there, or perhaps for us, since I'd love an excuse to go back! Contest Alert! The Caching in the Northwest BCGA Bonanza! Wow - just LOOK at that pile of BCGA swag! 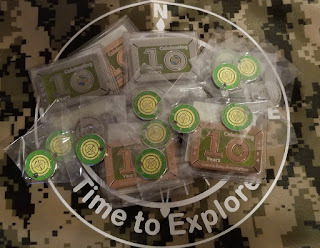 10th anniversary geocoins, caching bags, and pathtags - all to be won by some lucky geocachers who find the Caching in the Northwest podcast hosts at GeocoinFest 2018. Are you planning to attend any of the activities around GeocoinFest2018 in Issaquah, WA? 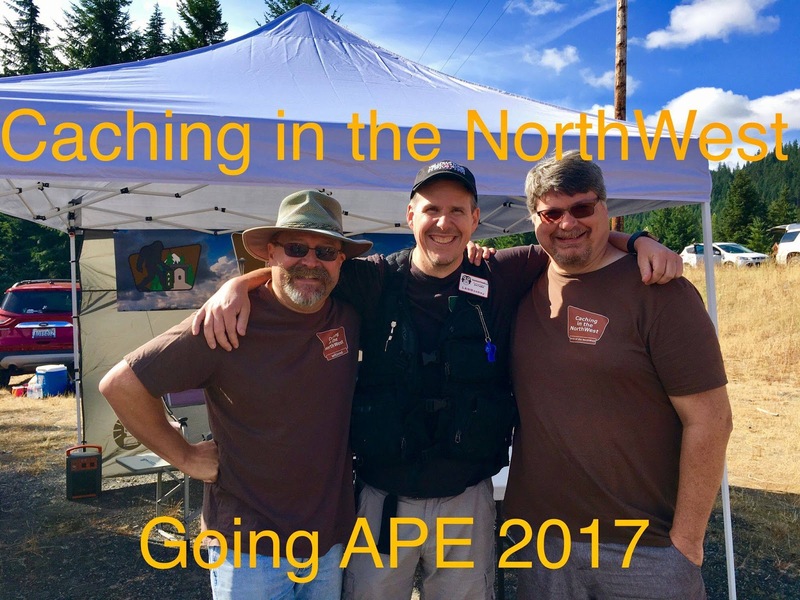 Find a Caching in the Northwest podcast host anywhere in the Issaquah area between noon Friday September 28 and noon Sunday September 30. Not sure what we look like? Here we are! Ask nicely for a draw ticket! Take both halves of your draw ticket to the Caching in the Northwest booth inside the historic Pickering Barn at the GeocoinFest2018 Mega Event (GC7CX8F) by noon, Sunday September 30. Drop half of your ticket into the draw bucket then and there. We'll make the drawing shortly after 12:00 noon - be present to win! Special thanks to the GeocoinFest2018 organizing committee and the WSGA for allowing us to have a booth, and to run this free draw! That's it! I hope I get a chance to meet you at GeocoinFest2018 - say hi, ask for a draw ticket, and let me know what you think about the podcast, my blog, or YouTube videos. 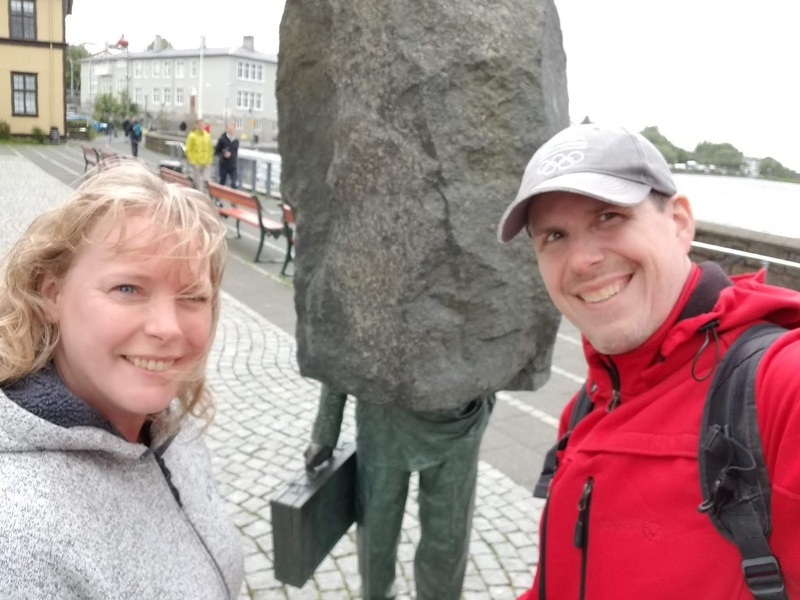 This is the second article to accompany S1E1 of Geocaching Adventures; "Iceland, Reykjavik to the Blue Lagoon." Haven't seen the video yet? Oh no! Here's your chance right now! Here's some great news; I heard that you wanted to know more about the Blue Lagoon Spa so I'm providing some personal insights on that visit. First off, where is it? The Blue Lagoon Spa is located a short drive from Keflavik, or just under an hour from Reykjavik, on the Southern Peninsula. There are two types of "standard" entry, and then the more luxurious "Retreat Spa" option. You should really book ahead via their website; they have a schedule/ticket system that's quite easy to use. The two types of standard entry are called comfort or premium. Staff in the pool know which entry you've paid for by the coloured RFID wristband you'll be wearing. Once through the front doors, there will be two lineups - one for tour groups, and the other for non-tour guests. The staff is highly efficient at getting you signed in, giving you your wristband and towel, and directing you to the change rooms. Both entries get you access to the lagoon, a silica mud mask, use of a towel, locker for your stuff, and one free drink. The premium upgrade gets you use of a bathrobe and slippers, a second mud mask, and reservations to their on-site restaurant. Honestly, you get the full experience with the comfort entry which costs about 79EU, and the upgrade to premium is around 102EU. We didn't even consider the 280EU "retreat spa" option. We really enjoyed the comfort entry for the 3 or so hours we were there. Off you get to the change rooms. You must shower before lagoon entry, and the free lockers work off of the RFID wristbands. A very cool system and all instructions are in English and several other languages. It's really hard to mess up! Once you're showered and ready for the lagoon you make your way out and into the WARM water. It looks murky/cloudy, and the temperature ranges from spot to spot - as you get closer or nearer to the water inflows. Generally the bottom is flat and a bit gritty, and the water is super-buoyant. Most of the pool is at an average depth of just over a metre, but it does range slightly. What Do I Do There? Now that you are enjoying the warm waters, explore around and head to the mud-mask bar! They will ladel out (literally) a big handful of warm silica mud to apply to your face, and give you instructions such as "not in your eyes, nose or mouth" which is maybe obvious but important. The mud really feels like wet drywall mudding, and once applied to your face beings to dry quickly. You are expected to wear it for no more than 10 minutes, then you dip underwater to wash it off. Now you see one of the reasons the water is so cloudy! After rejuvenating your face, head over to the opposite side of the lagoon and queue up for the in-water bar. They have a wide selection of pop and juice, you can also get red or white "house" wine, or a local beer. They even have a couple flavours of the Icelandic equivalent of a slurpee/slushie style iced drink. You can enjoy your drink anywhere in the pool, but they prefer you don't roam too far with it, and that you use the provided receptacles for your empty plastic cup. You are expected to keep your visit in the Lagoon to about 2 hours, after which you head back to the change room for another shower. The change rooms are very well appointed with hair-dryers, mirrors, and all the basic amenities so you can dry off and clean up nicely for the rest of your day. I hope this info has been interesting, and maybe even helpful! Accompanying each episode of Geocaching Adventures we'll provide a "behind the scenes" blog article to give you details on the cool adventures you saw in the video. This is the first of these articles and it accompanies S1E1 of Geocaching Adventures; "Iceland, Reykjavik to the Blue Lagoon." First things first, right? So our trip planning was largely (almost entirely!) done via the fact that we signed up for a Landsharkz Geocaching Adventure. We've previously joined them for their Alaskan Adventure and had so much fun we signed up for this Baltic one also. As for the nitty gritty of our travel, we flew IcelandAir from YVR in Vancouver, BC to KEF in Keflavik, Iceland. Pro Tips - unless you can get by for six hours on a bag of pretzels, bring food on the plane with you. Standard fares do not include meals. Also, check your carry-on baggage size, as IcelandAir may have slightly smaller carry-on restrictions than you may be accustomed to. 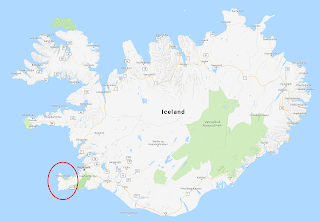 There is another airport right at Reykjavik, but the primary airport for travel in and out of Iceland is KEF. Once we landed, we did not need taxis or rental cars as we were part of an organized tour group picked up directly by bus from the airport. 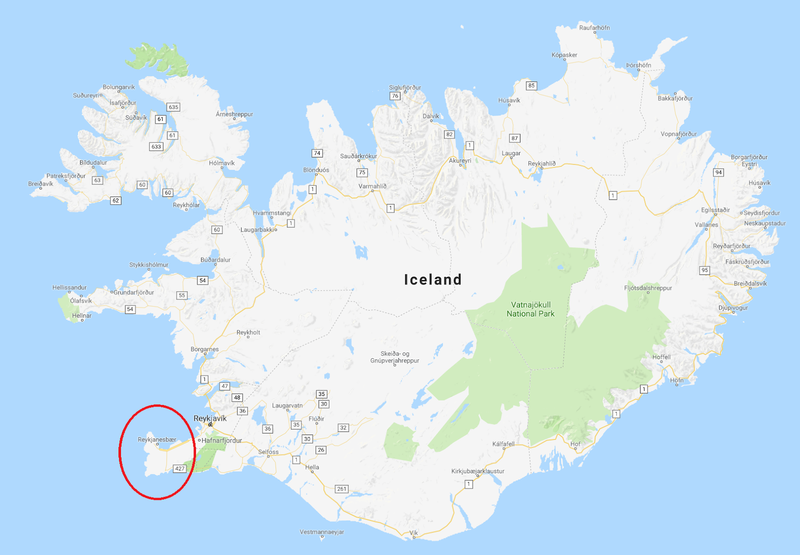 There is however the opportunity for car rentals, taxis, and a shuttle bus that can take you from KEF to Reykjavik, which is about 45 minutes away. Before we went into Reykjavik, our group did a tour of the Southern peninsula where the KEF airport is, an area called Reykjanes. This is a drive that I would highly recommend as it takes you to some extraordinary sights that really aren't that far from the airport. After our drive-about tour we headed to Reykjavik and some folks did an organized city tour, but as the city was quite walkable for us Monkeys, we chose to opt out and walked around a fairly sizable loop (a few km's). What Caches Did We Find? Here's a list of some of the geocaches we found and would recommend. There were more, but these are at least some highlights to get you started!